This contributed post is for informational purposes only. Please seek a business or legal professional before acting on any advice given below. Business mistakes are always going to happen, whether you like it or not. 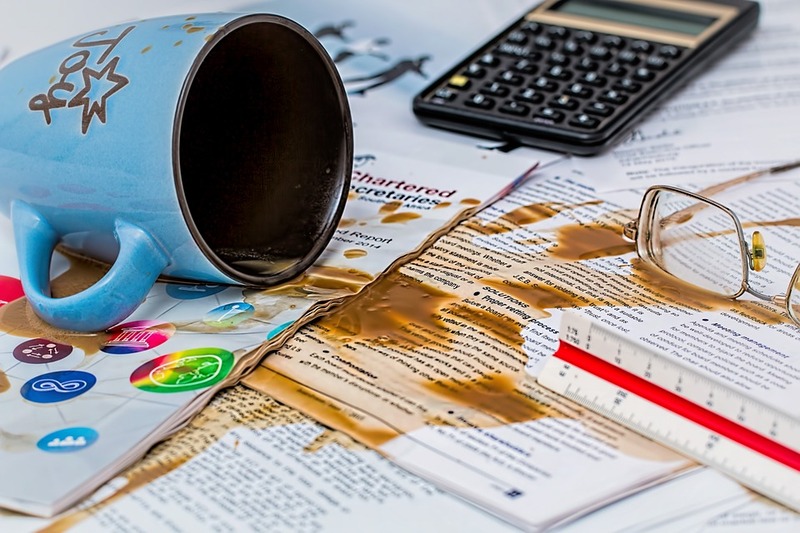 It’s important that you learn from these mistakes and improve rather than allow them to set you back too much, or you could end up in a negative downward spiral that eventually destroys your business. While you certainly can’t ensure that you never make a business mistake ever again, you can eliminate the vast majority of them by making sure you do a few important things. The worst thing you can do as a business whether you’re just starting out or you’ve been around for a while, is failing to take your budget and expenses seriously. This can happen if you constantly find yourself looking at purchases in isolation, rather than figuring out how they could affect the bigger picture. You may think that a snazzy new computer may help you to get the job done without setting you back too much, when in actual fact, it could seriously hinder your numbers for that month if you’re not careful. Make sure you’re smart with your marketing – don’t splash out a ton of cash right away on a company you’ve never worked with before. Set up small action steps and monitor how they work before committing to a huge pay out. When it comes to your marketing, you should definitely have an outside source do it – trying to do it yourself will water down the efforts and you won’t get anywhere near good enough results. That being said, monitoring and analyzing what has worked for you is still important. Not all marketing companies are created equal. Hiring the right people can go a long way to eliminating business mistakes. Sometimes it’s a good idea to hire those who are happy to learn and intelligent rather than those who have the most qualifications. Sometimes it’s worth spending a little more on a hire, rather than trying to scrimp and save to get somebody who is truly good at the job. Taking your time with the hiring process is a must. Don’t hire for the sake of it either – try to hold out for the right candidate. Remember, having the right candidates isn’t enough if you’re going to become a slave driver type boss. You need to make sure you treat your hires right. This will make the world of difference when it comes to maintaining a great reputation and ensuring everything in your business runs as smoothly as possible. It’s highly unlikely you want a high employee turnover, as it’ll cost you more time and money in the long run. Treating your employees right could simply meaning buying them coffee and donuts one day. Make sure you praise them appropriately and show them how much you appreciate the hard work they put in for you. It’s all well and good gaining customers, but you must then nurture your customer relationships to ensure they keep on coming back to you. If you don’t make your customers feel important, they won’t think of you next time they want to make a purchase. They can easily go off to a competitor if they feel like your customer service just isn’t there. Going above and beyond for your customers can change the game. So, how can you nurture these relationships? Give loyalty points and discounts. Aim to offer the best customer service around. If in some cases you can use systems not people, then make sure you do so. You’ll save money on hiring, and get things done faster. There’s also no chance of human error. Systems like DataServ aim to eliminate mistakes in business and automate some of the more difficult and tedious tasks that businesses have to deal with. There are all kinds of tailored software options for different businesses you can go for, so make sure you look into them. Just because something worked for you a few months ago, does not mean it’s going to work for you today. You must remain flexible in business if you want to be as successful as possible. Look to the future, and new ways your industry may change so you can become an innovative business. You don’t have to reinvent the wheel; simply being prepared to change is a must. Don’t get too attached to certain processes. Always read newspapers, articles, and blog posts on what’s going on in your industry so you can stay ahead of the game. When you keep up your knowledge, you don’t have to worry about becoming one of those ‘traditional’ or ‘old fashioned’ businesses that just never seem to thrive. As a business, your brand voice and personality should come across in everything you do, from your social media presence to your emails. However, make sure you are mindful that this voice is consistent across all platforms, and that it fits in with the image you want to portray. Make sure you don’t say offensive things (many businesses have done this without realizing it). The things written on the internet tend to stay there forever. If you try too hard to keep your employees to a minimum, you can end up watering down their efforts by giving them multiple things to do. You can always check out freelance services online and get things done that way – not everything needs to be done by hiring a new person. Don’t spread yourself or your employees thin. Even the most successful people in the world had a mentor – you didn’t think they did it alone? You can find mentors that you Skype with online, or those that you meet in person. You could even consider investing in seminars and workshops to help you hone your skills and your mindset and become an even better business owner. You’re never too successful to do this, there’s always room to improve. An outside perspective can seriously change everything! A solid business plan can help you to keep on moving forward when you’re unsure of the direction to take. While business plans now should different to business plans a while back (things change so quickly these days) you should still create one to help you to stay focused and keep that vision of your business clear. You can always change it later on down the line if you need to. Getting legal help early on in your business will help you to ensure you’re doing everything above board, from paying your taxes to ensuring you have the correct insurance in place for staff members. You must keep your business in full legal compliance, or you may end up in some trouble later on down the line. Make sure you do your research on a great legal company that has experience with businesses like yours and go from there. Every business owner needs a great support group. Not only can you bounce ideas off them, you can go to them for support when you’re feeling overwhelmed and stressed out. Usually, these people are your friends and family. This is why getting the work/life balance right is still important when you’re a business owner. It definitely takes hard work at the start, but that doesn’t mean you should let your relationships flounder under the pressure. As hard as it may be, you need to continue nurturing them. If you notice people in your life who do not want to support you or only ever seem to have negative things to say, it’s important you distance yourself from them or cut ties with them completely. This can be tough, especially if they are family, but you really can’t afford to have negative influences in your life right now. The things they say says more about them than about you, but this is still no reason to spend time with them if they make you feel low or question your choices. As hard as it may be, cut them off for your own good. Hopefully, you’ve taken on board some of the pointers here and can use them to improve your business. You may not be able to avoid every single mistake from happening, but you can definitely minimize them as much as possible by taking the steps listed here. Do you think any are missing? Leave a comment with your thoughts below!